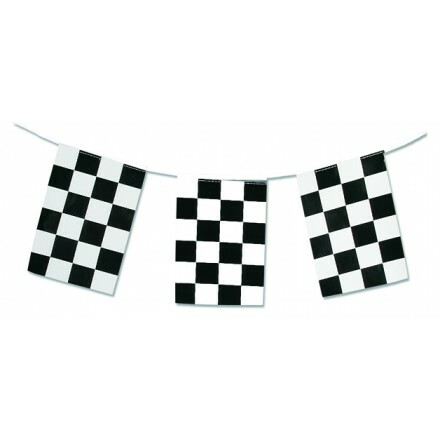 Deco Party UK offers a great Grand Prix Party supplies choice, for kids and adults, black checkered bunting, flags, cocktail picks and confetti! So Grand Prix table decoration, Grand Prix room decorating. Just have to win racing car Grand Prix. 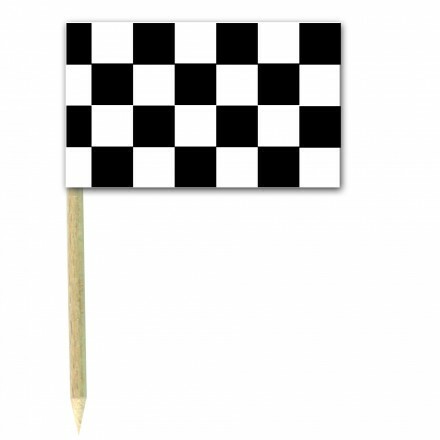 Chequered Party decorations are used for Formula 1, F1, Go-Kart Grand Prix, Deco Party UK offers best quality in the UK and in Ireland.If you have been a fan of Jenson Button, Lewis Hamilton or Sebastian Vettel, or just love a race car or moto GP just buy online now. 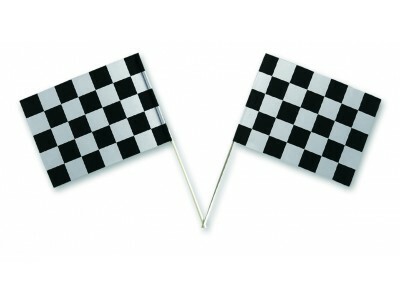 chequered plastic flag bunting 17ft/5m 10 flags 8x12inch/20x30cm or 33ft/10m lengths 20 flags 8x12inch/20x30cm. 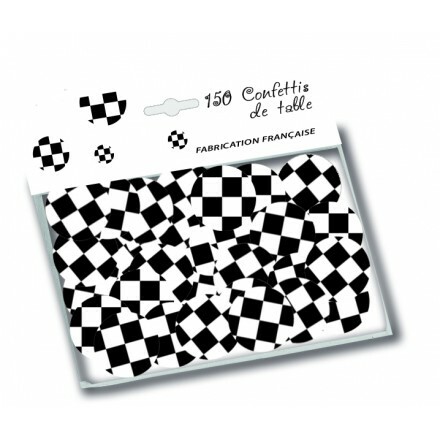 150 checkered confetti circle 1 Inch / 25mm diameter. Ideal for Grand Prix Party Decoration. 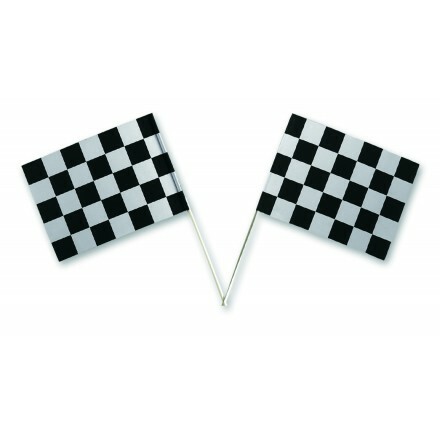 Those black and white chequered confetti are perfect if you support Formula 1 competition, Go-Kart and car races. You also can use those for your birthday and for every occasion. Sprinkle on the table these nice checkered confetti to get magic effect!